The holiday classic The Shop Around the Corner is airing this Wednesday on TCM. 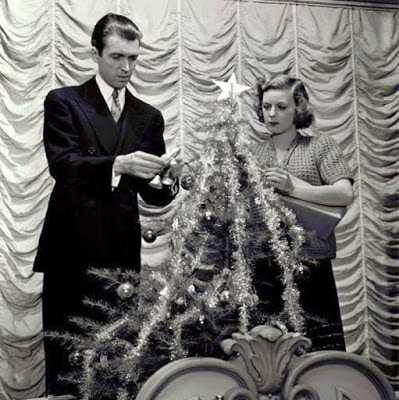 It stars James Stewart and Margaret Sullavan as a pair of bickering store employees who are secret pen pals. TCM's November star of the month is beloved actor James Stewart. The network is airing 24 hours of his films on Wednesday, including three movies costarring Margaret Sullavan (I'll go indepth below). There's also two nights of movies about the Hollywood blacklist and a Veterans Day tribute. Noir Alley: Bobby Driscoll plays a boy who can't get anyone to believe him when he witnesses a murder in The Window (1949) at 10 a.m. Sunday. Driscoll earned an Academy Award for outstanding juvenile actor for his performance in this film. TCM Essentials: Air Force officer Myron McCormick tries to keep raw recruit Andy Griffith under control in No Time for Sergeants (1953) at 8 p.m. Saturday. Silent Sunday Nights: A newly restored version of the Norwegian film Laila (1929) at midnight. This is a rare opportunity to see this beautifully crafted film, which deals with the indigenous Sami people (you can learn more about them here). TCM Imports: Two collaborations between Swedish director Ingmar Bergman and actor Harriet Andersson: Summer with Monika (1953) at 2:45 a.m. Sunday night/Monday morning made Andersson an international star and she went on to appear in several Bergman films, including the spoof of Italian cinema, All These Women (1964) at 4:30 a.m.
Best Day to DVR: Wednesday afternoon, prime time, and late night: TCM's month-long tribute to James Stewart is a real treat for old Hollywood fans. Start your afternoon out with Stewart and his frequent costar Margaret Sullavan in the World War I romance The Shopworn Angel (1938) at 1:45 p.m. You can skip the mushy Civil War story Of Human Hearts (1938) at 3:30 p.m. (unless you really want to see Abraham Lincoln as played by John Carradine lecture a young Jimmy about neglecting his mother), but don't miss the Frank Capra-directed screwball comedy You Can't Take It With You (1938) at 5:30 p.m. The prime time lineup features two great Stewart-Sullavan collaborations: The Christmas favorite The Shop Around the Corner (1940) at 8 p.m. and The Mortal Storm (1940) at 10 p.m., which is an intriguing pre-World War II film about the Nazi takeover of Germany. Stewart won his only Oscar for playing tabloid reporter Macaulay "Mike" Connor in The Philadelphia Story (1940) at midnight, followed by two of Stewart's later films: the underrated film noir Call Northside 777 (1948) at 2 a.m. and the baseball biopic The Stratton Story (1949) at 4 a.m.
Three daytime picks: The theme is the popular murder-mystery series The Falcon, which is about a suave English gentleman and amateur detective Gay Laurence, aka The Falcon. 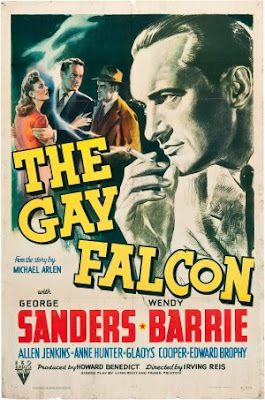 George Sanders starred in three Falcon movies: The Gay Falcon (1942) at 6 a.m., A Date with the Falcon (1941) at 7:15 a.m., and The Falcon Takes Over (1942) at 8:30 a.m. Sanders handed the series off to his real-life sibling Tom Conway in The Falcon's Brother (1942) at 9:45 a.m. TCM is airing seven of Conway's nine Falcon films in the afternoon. including The Falcon and the Co-Eds (1944) at 1:30 p.m., and The Falcon in Hollywood (1944) at 5:15 p.m., which gives viewers a glimpse of RKO Pictures backlot. Prime time lineup: Each Monday and Tuesday in November, TCM is airing movies about the Hollywood Blacklist of the late 1940s and early 1950s. During that time period, the U.S. Congress investigated actors, directors, and writers for alleged Communist activity and many were blacklisted, which meant they were barred from earning a living in their chosen profession. Both Monday and Tuesday's lineup deals with the famous Hollywood Ten, who were jailed for refusing to cooperate with the Congressional investigation. The night starts out with the documentary Hollywood on Trial (1976) at 8 p.m. followed by the gentle drama Our Vines Have Tender Grapes (1945) at 10 p.m., which was written by the best-known among the Hollywood Ten, Dalton Trumbo. 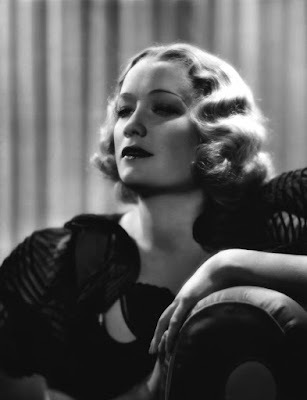 Late night pick: Hollywood Ten members Edward Dmytryk and Adrian Scott directed and produced the powerful noir about anti-Semitism Crossfire (1947) at 2 a.m.
Three daytime picks: The theme is movies starring actor Miriam Hopkins. Watch her in the horror film Dr. Jekyll and Mr, Hyde (1931) at 6 a.m., the excellent woman's picture with Bette Davis The Old Maid (1939) at 2:15 p.m. and the Errol Flynn-Randolph Scott Western Virginia City (1940) at 5:30 p.m.
Prime time lineup: The spotlight on the Hollywood Blacklist continues with more films from the Hollywood Ten. The World War II action-adventure Objective, Burma! 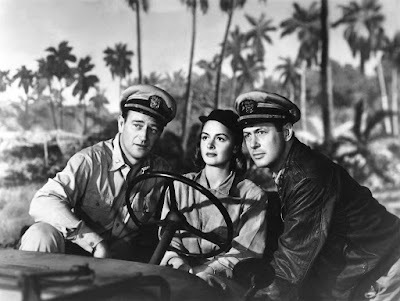 (1945) was penned by Hollywood Ten members Alvah Bessie and Leslie Cole. The Master Race (1944) at 10:30 p.m. from blacklisted director/screenwriter Herbert Biberman is a fascinating speculative film about the creation of a Fourth Reich after Germany's defeat in World War II. 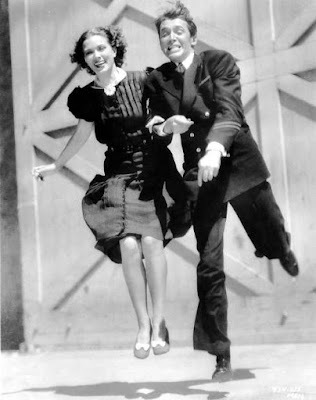 Late night pick: Hollywood Ten member Ring Lardner, Jr., wrote the screenplay to the Katharine Hepburn-Spencer Tracy rom-com Woman of the Year (1942) at 12:15 a.m.
Eleanor Powell and James Stewart in Born to Dance (1936). Three Daytime Picks: TCM is airing some of star of the month James Stewart's early films starting with his role as a young Naval Academy recruit in Navy Blue and Gold (1937) at 6:30 a.m. Stewart plays another sailor in the musical Born to Dance (1936) at 8:15 a.m. (this time he's infatuated with hoofer Eleanor Powell). Stewart and Claudette Colbert team up in the screwball-mystery mashup It's a Wonderful World (1939) at 12:15 p.m.
John Wayne, Donna Reed, and Robert Montgomery in They Were Expendable (1945). Three daytime picks: The theme is movies about "bands of brothers" during wartime starting with John Gilbert, Karl Dane, and Tom O'Brien enduring the horrors of trench warfare in World War I in The Big Parade (1925) at 6 a.m. A group of American soldiers gets caught behind enemy lines in the Korean War drama The Steel Helmet (1951) at 2 p.m., while John Wayne and Robert Montgomery try to keep a rag-tag PT boat crew together in the World War II film They Were Expendable (1945) at 5:30 p.m.
Prime time lineup: The prime-time theme is non-musical film versions of famous musicals. Before The King and I, Irene Dunne and Rex Harrison took on the roles of Anna and the King of Siam (1946) at 8 p.m. Before the 1953 musical, Kismet (1944) at 10:30 p.m. was filmed as an action-adventure movie with Ronald Colman in the lead (don't miss Marlene Dietrich doing a dance number in gold body paint). Late night pick: Before Leslie Caron and company sang about "The Night They Invented Champagne," A French film of Gigi (1948) at 4;45 a.m. was made with Daniele Delorme in the title role. Three daytime picks: The theme is movies about adultery starting with Greta Garbo as a neglected wife who takes up with exotic prince Nils Asther in the silent film Wild Orchids (1926) at 9:30 a.m. Robert Donat and Deborah Kerr take a Vacation from Marriage (1945) at 11:15 a.m. during their World War II service (he with nurse Ann Todd; she with architect Ronald Culver). 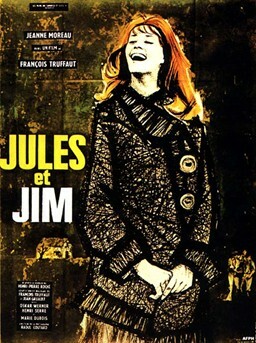 Jeanne Moreau is caught in a love triangle with Oskar Werner and Henri Serre in director Francois Truffaut's Jules et Jim (1962) at 3:15 p.m.
Prime time lineup: Special guest Robert Wagner will preview his new book about old Hollywood's legendary actresses, I Loved Her in the Movies, and screen four movies he admires starting with the "valentine" to classic films Cinema Paradiso (1989) at 8 p.m. Next is the Western Lonely Are the Brave (1962) at 10:30 p.m., which is star Kirk Douglas' favorite among his own films. Late night pick: The story of Depression-era Mississippi, This Property Is Condemned (1962) at 12:30 a.m., stars Wagner's late wife, Natalie Wood. TCM is airing a daytime Veterans Day tribute starting with James Stewart as a baseball player who is called back to the Air Force to patrol the Cold War skies in Strategic Air Command (1955) at 9 a.m. The World War II film Where Eagles Dare (1968) at 2 p.m. finds Richard Burton and Clint Eastwood leading a daring raid on a Nazi-held fortress while The Best Years of Our Lives (1946) at 5 p.m. deals with the lives of returning WWII veterans. The Essentials series continues at 8 p.m. with host Alec Baldwin. He will be joined by former late night host David Letterman to discuss the comedy No Time for Sergeants (1958) at 8 p.m. followed by two more films about sergeants: Woody Strode plays a Buffalo soldier in director John Ford's Sergeant Rutledge (1960) at 10:15 p.m. and Gary Cooper goes from Tennessee backwoodsman to Medal of Honor winner in Sergeant York (1941) at 12:15 a.m. The Veterans Day tribute continues with TCM host Ben Mankiewicz talking with veterans about their favorite movies. The highlights are National Velvet (1944) at 11:30 a.m. and Casablanca (1943) at 3:45 p.m. The prime time lineup is all about actor and singer Pat Boone. Boone was a hit recording artist and teen idol in 1957 when 20th Century Fox featured him in two syrupy musical comedies: April Love at 8 p.m. and Bernardine at 10 p.m. This is a very informative but entertaining article. You do so much more than just list the movies that are playing. Your descriptions are brief but just enough to pique one's interest. You are a fine writer. By the way, I wanted to know if you think it will be possible for you to write your article about clergy in Code films for "The Great Breening Blogathon." I know that everyone is busy, but I just wanted to know if you perhaps will be able to submit this article any time soon. If you will, I will be happy to include it in the final recap. If not, I will reluctantly publish it without the inclusion of your talents. Sorry! I've gotten behind on two blogathons, and haven't had the chance to catch up. I do intend on writing the article, but don't wait on me to publish your wrap-up post.